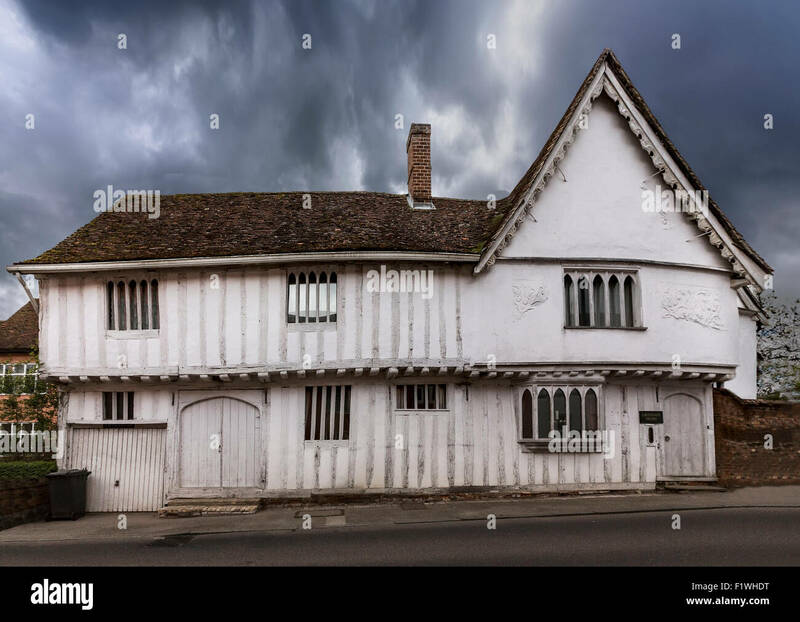 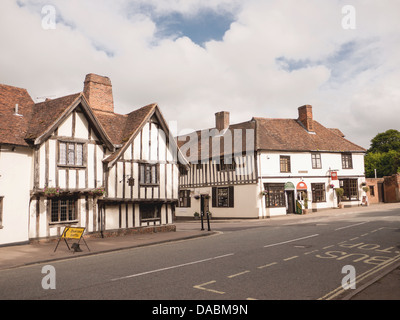 Lavenham, a village and civil parish in Suffolk, England noted for its 15th-century church, half-timbered medieval cottages. 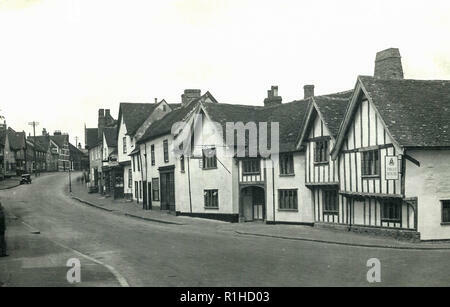 Levernham sudbury suffolk 1947. 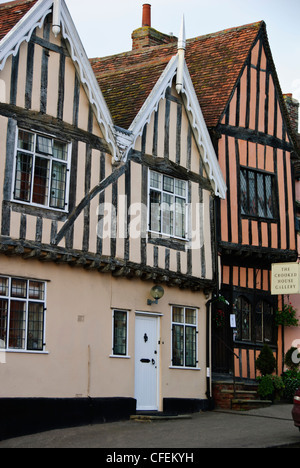 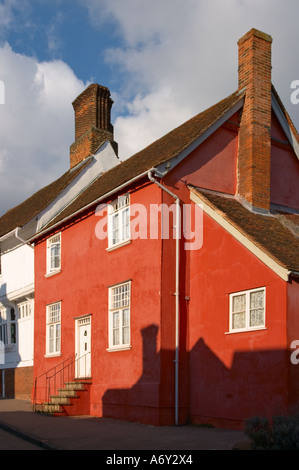 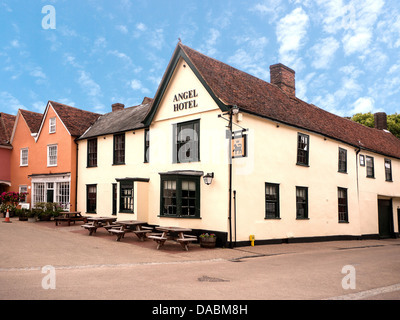 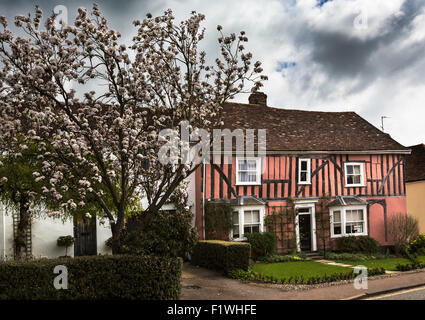 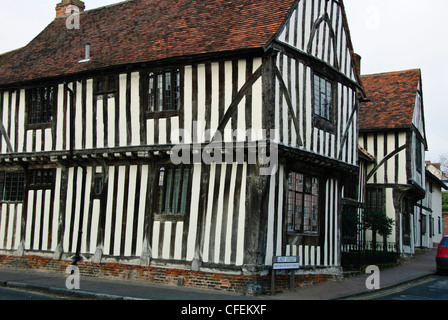 Lavenham is a village, civil parish and electoral ward in Suffolk, England. 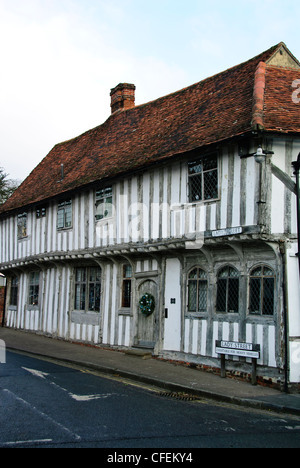 It is noted for its Guildhall, Little Hall, 15th-century church, half-timbered medieval cottages and circular walks. 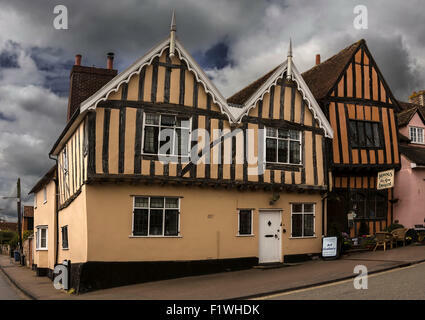 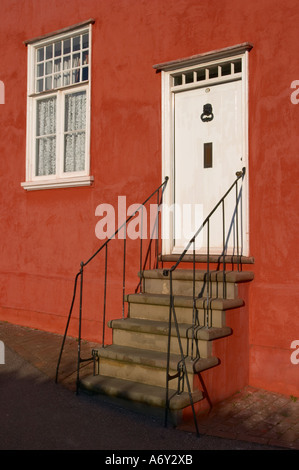 In the medieval period it was among the twenty wealthiest settlements in England. 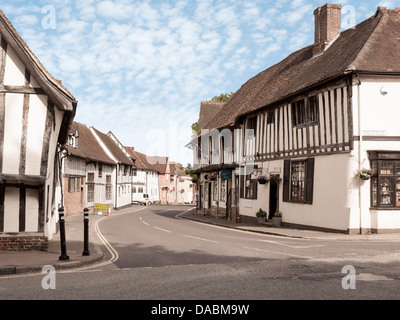 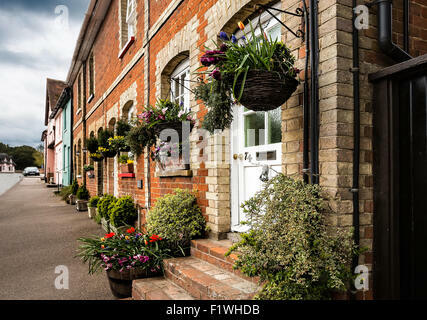 Today, it is a popular day-trip destination for people from across the country along with another historic wool town in the area, Long Melford.